Decorate your home and/or tree with these new exclusive ornaments dedicated to showing LOVE to your HOME city of Newark! 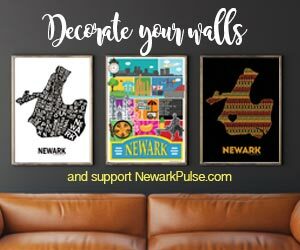 Support local and decorate your wall or that of a Newark lover with our exclusive Newark posters! City MD opens in Hahne's building providing urgent care and medical services. Open Doors Kids Debuts this year!